For nearly 100 years, the members of Zonta International have been champions on behalf of the world’s women and girls. 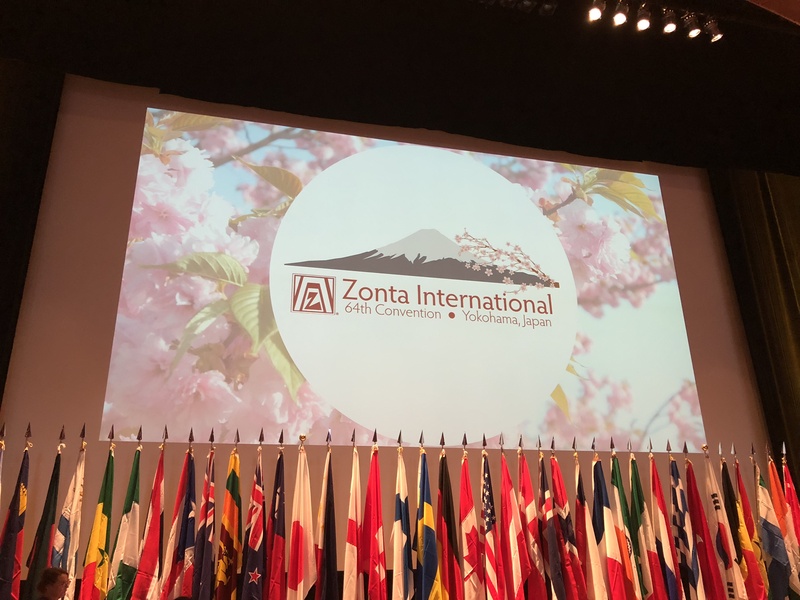 And, as the Zonta International Convention in Yokohama, Japan kicked off on June 29, 2018, more than 2,000 members from around the world prepared to usher Zonta into a new century of positive impact, as Zonta gets ready to celebrate its centennial in 2019. Zonta International is a leading global organization of professionals empowering women worldwide through service and advocacy. With 29,000 members in 63 countries, Zonta is working to improve the lives of women and girls through international service, scholarships, the Zonta Says NO to Violence Against Women campaign, youth clubs and more. Zonta International has supported UNICEF since 1972, and through its partnership with UNICEF USA for more than 40 years, has reached millions of women and girls with access to clean water, healthcare, violence prevention and services, education, and more. To name just a few examples of Zonta’s global impact, Zonta supported UNICEF Sri Lanka to provide safe drinking water to 350,000 people; Zonta supported UNICEF programs in Burkina Faso focused on reducing the incidence of female genital mutilation and cutting, resulting in a 40% decrease in the practice over the course of a decade; Zonta supported the vaccination of more than 800,000 women of reproductive age against maternal and neonatal tetanus in Afghanistan and Nepal; and for eight years, Zonta supported UNICEF Rwanda to enable programming that virtually eliminated mother-to-child transmission of HIV/AIDS and allowed UNICEF Rwanda to pilot a one stop center model of providing services to victims of violence that has now been scaled up nationally. Together, UNICEF USA and Zonta International are building a more equitable and just world, one in which girls are able to exercise their rights to survival, safety and well-being, and as Zonta enters its centennial biennium, we are poised to make an even bigger impact together. At the 2018 Zonta International Convention, which took place from June 29-July 3, Zonta renewed its commitment to UNICEF USA to support Let Us Learn Madagascar with $1 million over 2018-2020. Let Us Learn is an integrated education program that is creating opportunities for vulnerable and excluded children, particularly girls, to realize their right to an education in a secure and protective environment. Zonta’s support in 2018-2020 will enable more than 40,000 children to access a quality education thanks to new classrooms, teacher and school director training, cash transfers to households in extreme poverty, catch up classes, violence prevention and services, and communication and messaging promoting school enrollment and retention. Sustainable development will not be possible without the education of all children, but particularly girls. Every additional year of secondary school boosts a girl’s eventual wages by 15-25 percent, which will have a ripple effect on not only the individual girls’ future opportunities, health and safety, but also that of their future children. Zonta recognizes the importance of this program and its ability to reach the most excluded girls, and already has a track record of success in partnering with UNICEF USA to support UNICEF Madagascar. 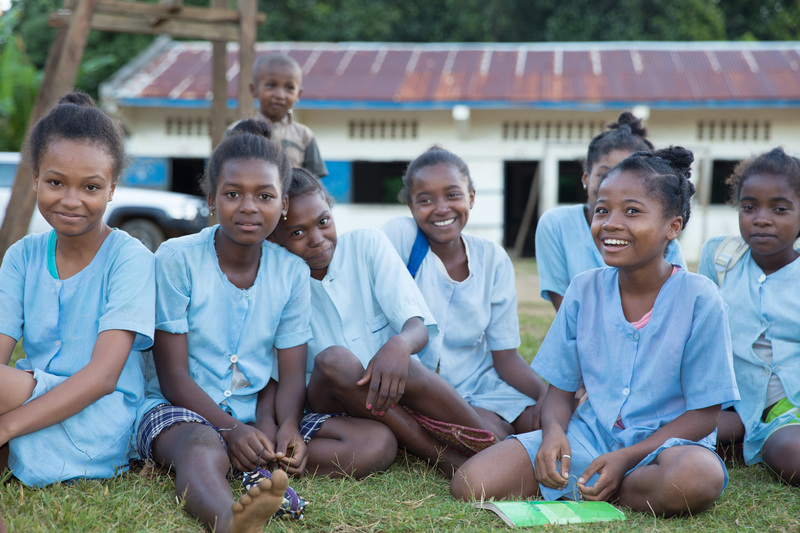 From 2016-2018, Zonta International contributed $1 million to Let Us Learn Madagascar, which allowed for the program’s expansion to two new regions in Madagascar and reached more than 13,000 girls. At the convention, Zonta International also launched a new signature project to coincide with the kick-off of its centennial biennium, with the intention of making a sustainable, transformative impact on a major global issue impacting girls. Worldwide, almost 650 million women alive today were married before the age of 18; an estimated 280 million more girls are at risk of becoming brides. Girls who marry young are not only robbed of their childhood and opportunities to determine their own futures, but also often lose out on continued education, are at risk of health consequences like increased rates of HIV/AIDS and complications during childbirth, and are more likely to be victims of domestic violence. Child marriage has ripple effects across future generations and undermines nearly all of the Sustainable Development Goals. 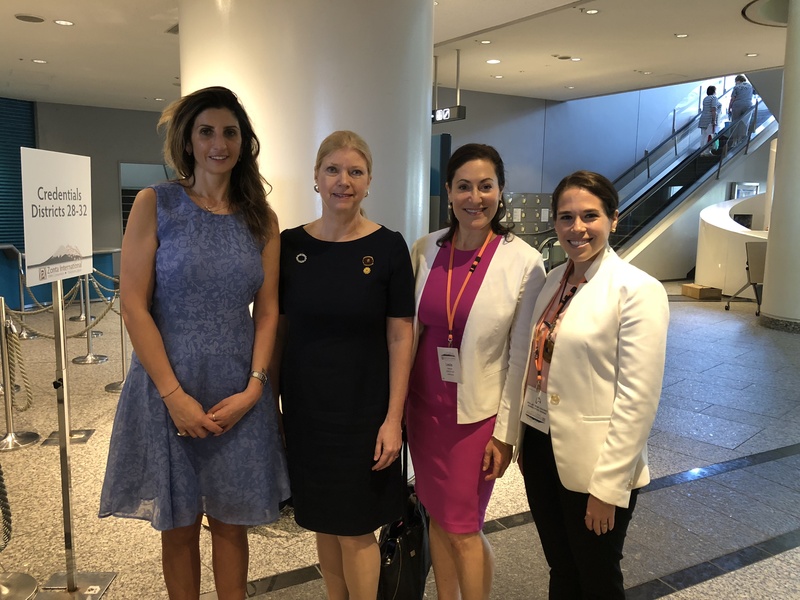 (Left to right) Mariarosa Cutillo, Chief of Strategic Partnerships at UNFPA, Susanne von Bassewitz, President of Zonta International, Leslie Goldman, Vice President Global Cause Partnerships at UNICEF USA, and Rachel Steinberg, Senior Director Global Cause Partnerships at UNICEF USA, during the 2018 Zonta International Convention in Yokohama, Japan. In 2016, UNICEF and the United Nations Population Fund (UNFPA) joined forces to launch the Global Programme to Accelerate Action to End Child Marriage. Over the course of 15 years, UNICEF and UNFPA will work together to promote the right of girls to delay marriage, address the conditions that keep the practice in place, and provide care for girls already in union in 12 high prevalence countries: Bangladesh, Burkina Faso, Ethiopia, Ghana, India, Mozambique, Nepal, Niger, Sierra Leone, Uganda, Yemen and Zambia. Members of Zonta voted at the International Convention to support this global program with a commitment of $2 million, and in doing so became the first private sector donor. 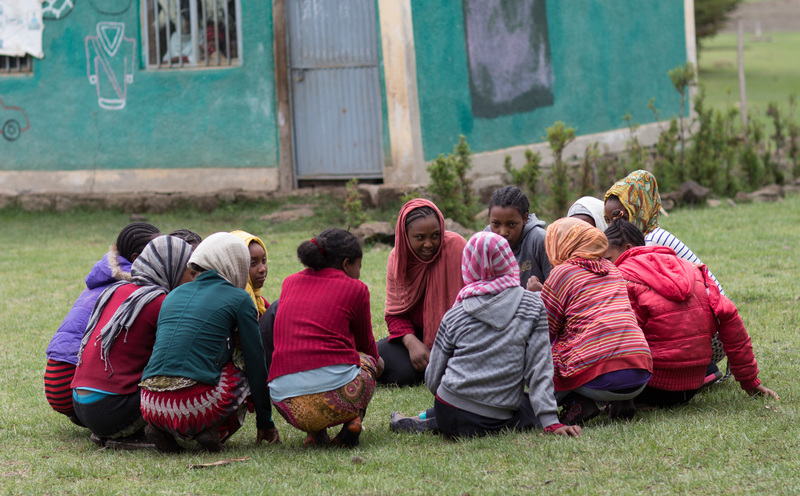 Zonta’s investment will enable the program to expand and reach more girls, allowing them to enjoy a childhood free from the risk of marriage and its consequences. Furthermore, thanks to this partnership, Zontians will be able to harness their collective voices to raise awareness about the issue of child marriage and continue to ensure its prioritization on the global agenda. As Zonta begins its centennial biennium, UNICEF USA is proud to partner with Zonta once again in support of UNICEF and UNFPA programs to reach the world’s most excluded and marginalized girls.